Monita Sinclair – Marketing Manager, Showcase Interiors. 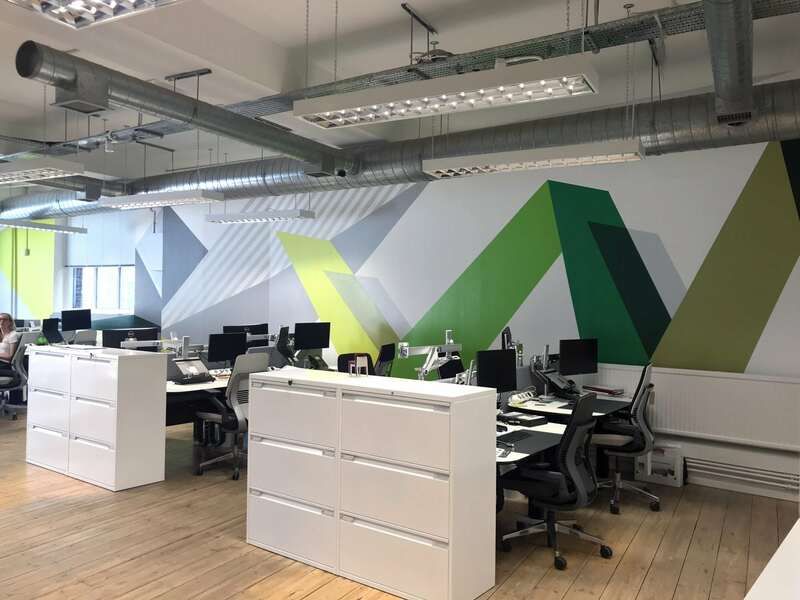 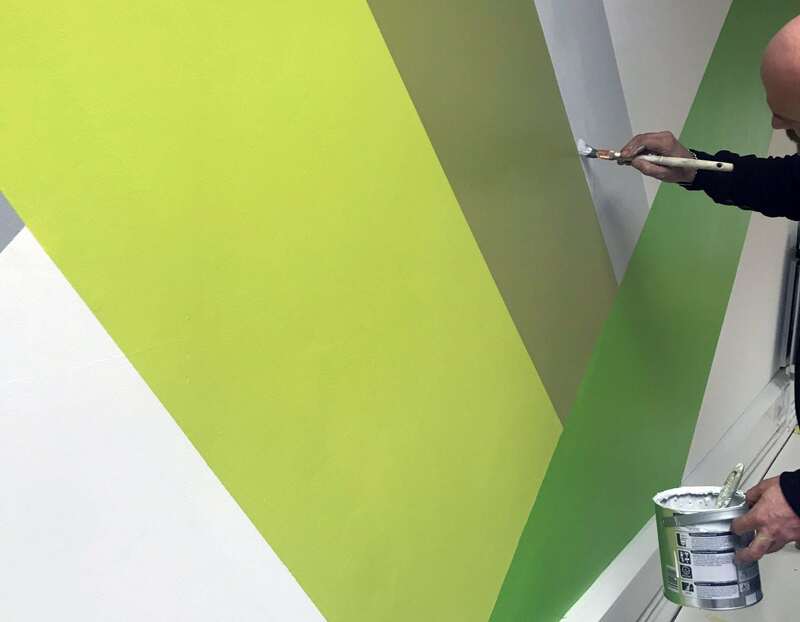 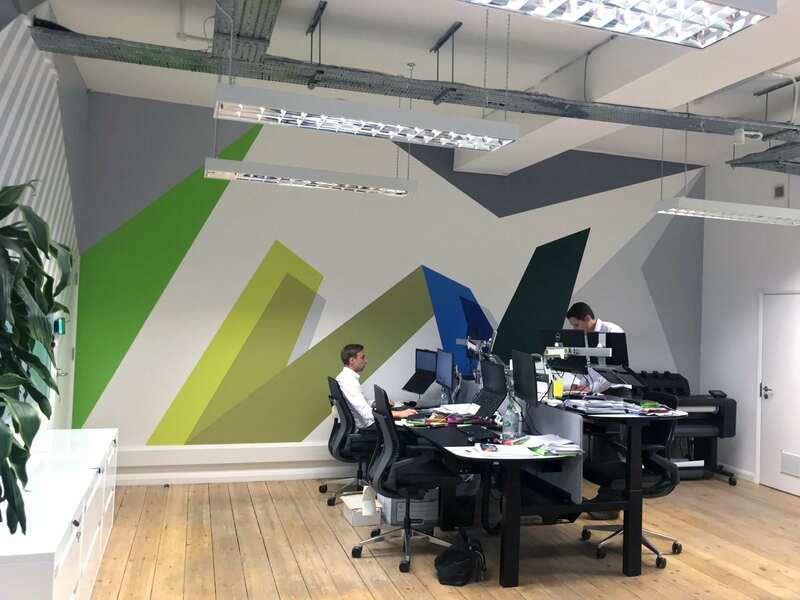 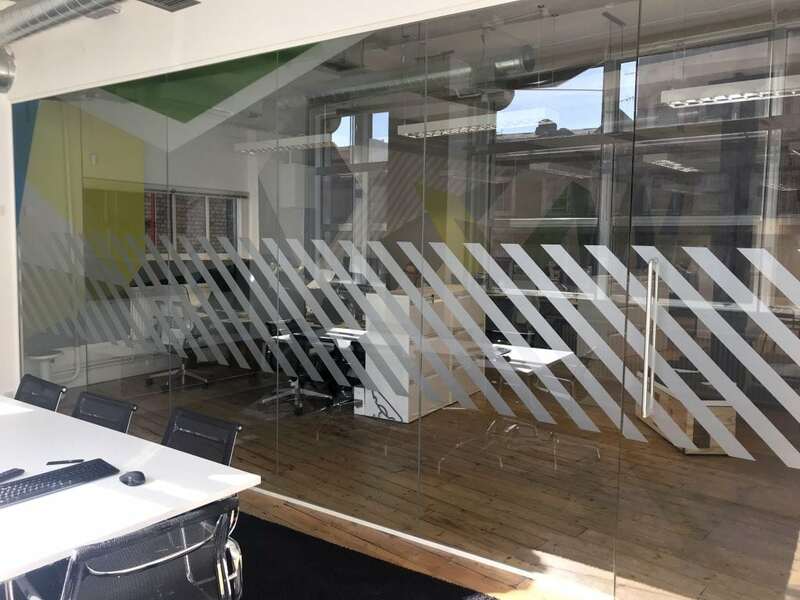 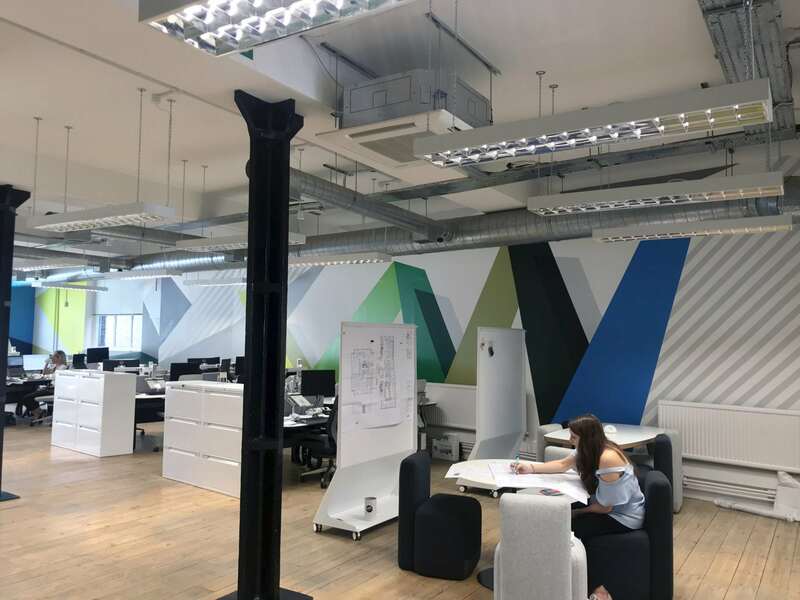 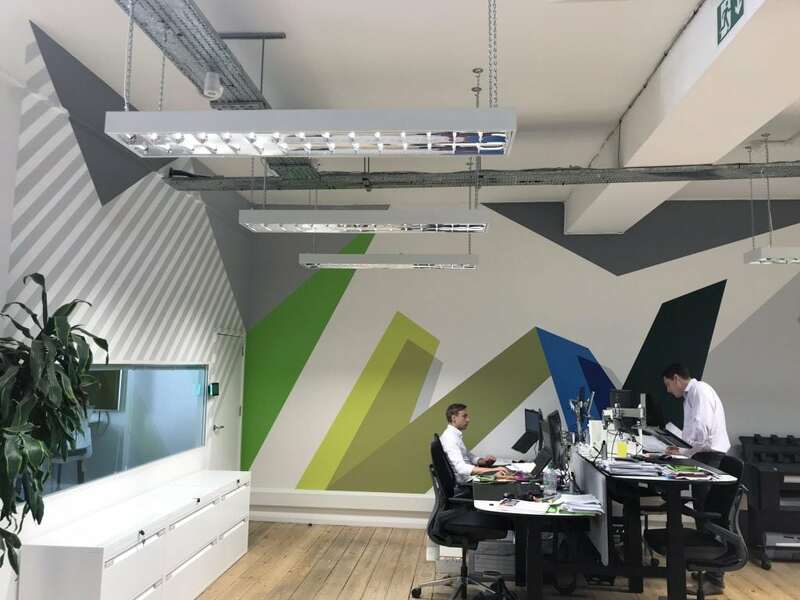 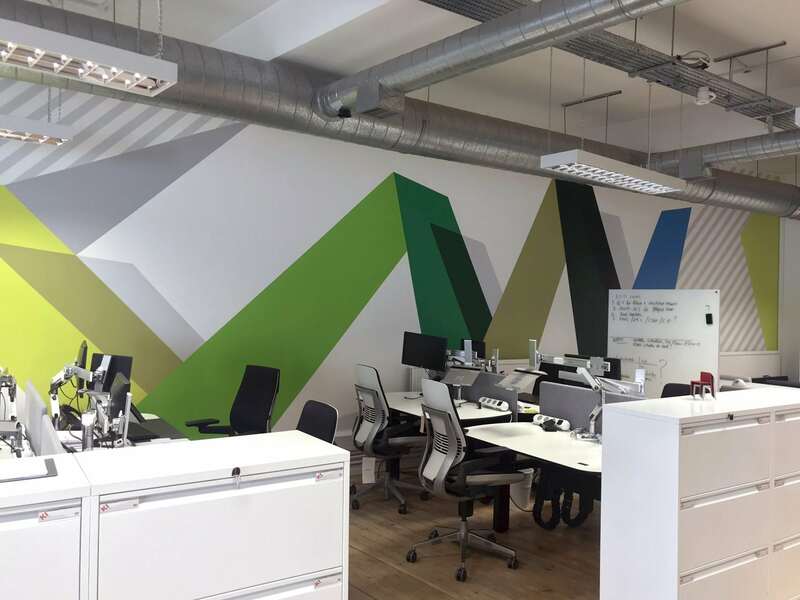 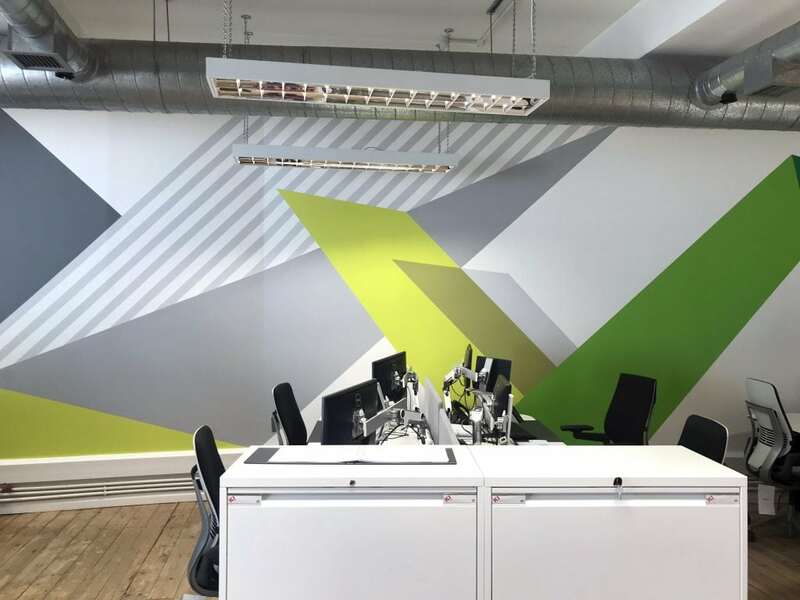 Having transformed Showcase’s head office earlier in the year, we were delighted to have the opportunity to work on the opening of their new London office in Old Street. 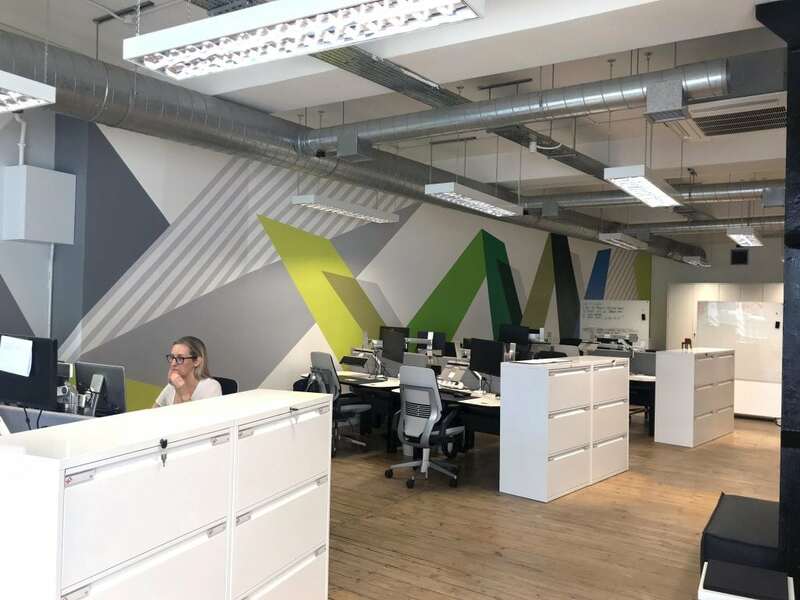 Being in the business of designing engaging furnished spaces, Showcase wanted us to create an office environment that both captured their brand and demonstrated the importance of design in the work they do. 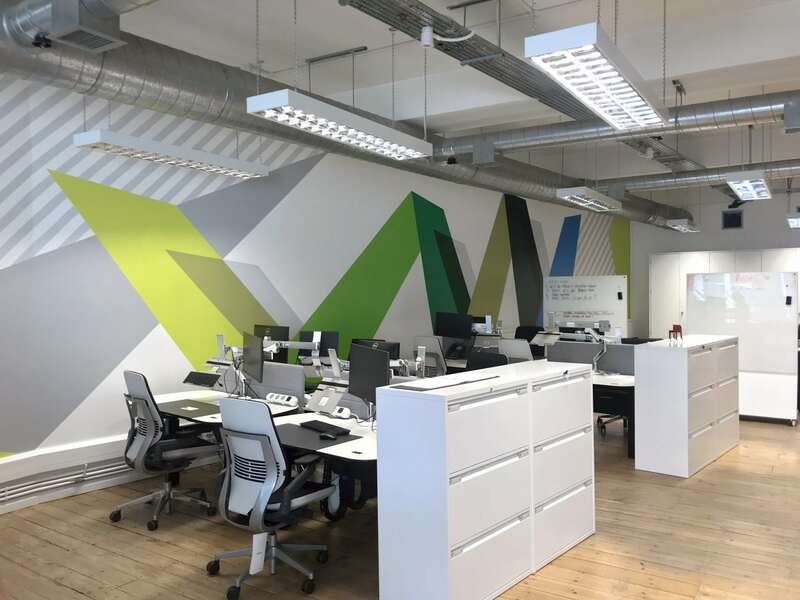 We designed and created four areas including the entrance, meeting room, main office and project room. 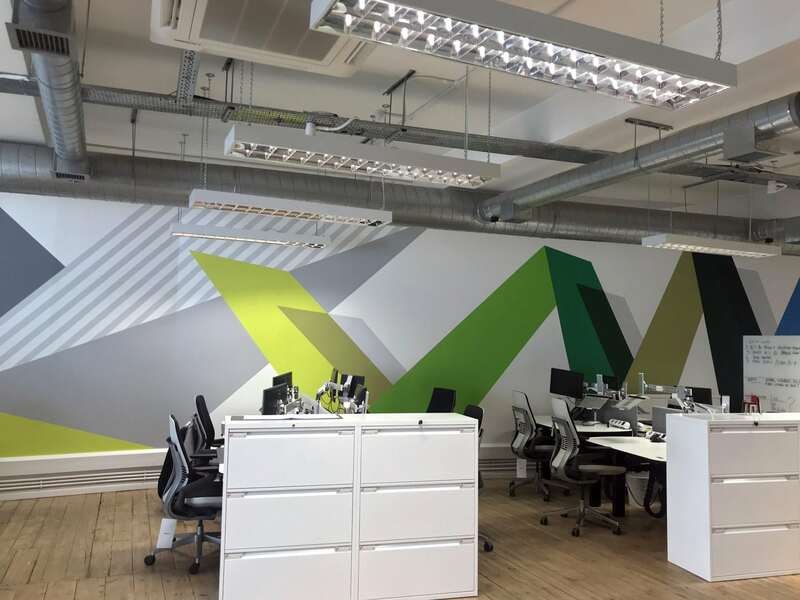 Bold graphical elements in a fresh colour pallet were used to optimise the space and provide a sense of continuity. 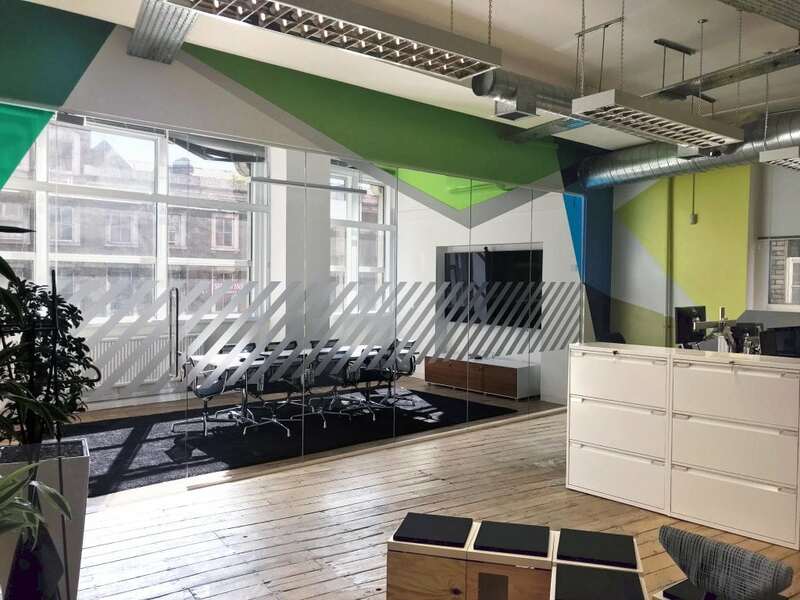 Elements from the hand-painted floor to ceiling murals were also brought onto the glass manifestations to add synergy. 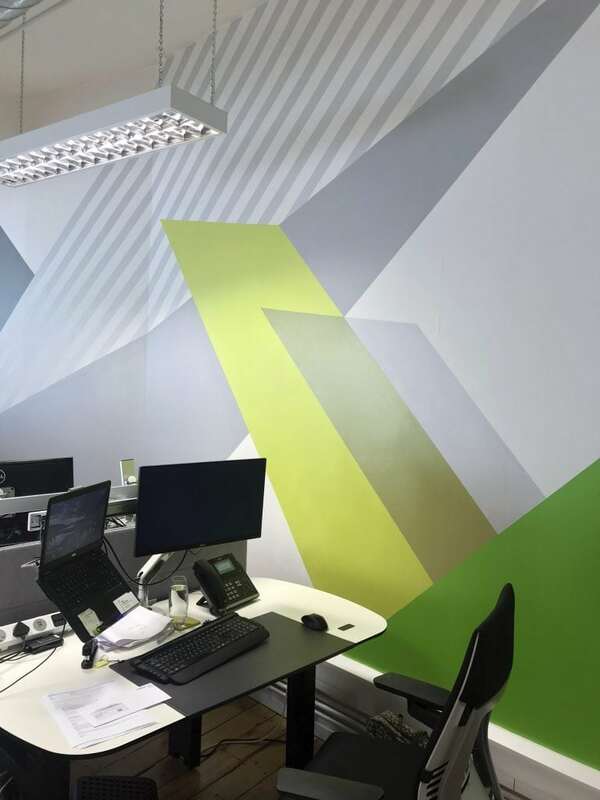 A graphical ribbon adds a dynamic element to the space and connects various areas within the office. 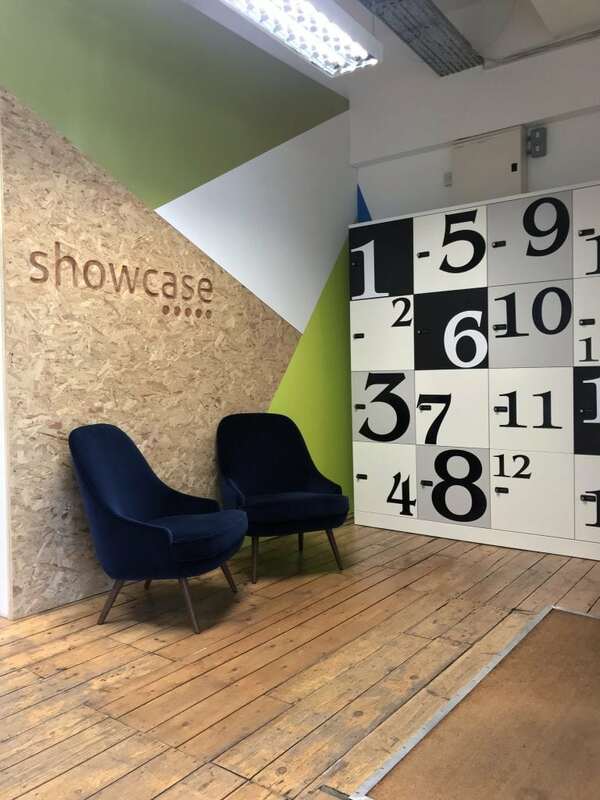 A branded feature wall in the entrance was created by cladding an existing wall with MDF and OSB board. 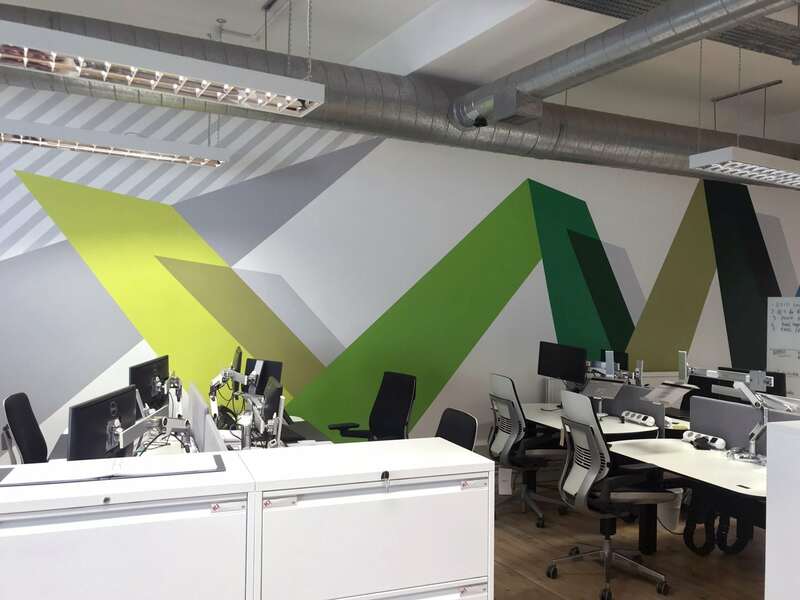 The company logo was then CNC cut out to create a simple but stylish effect.